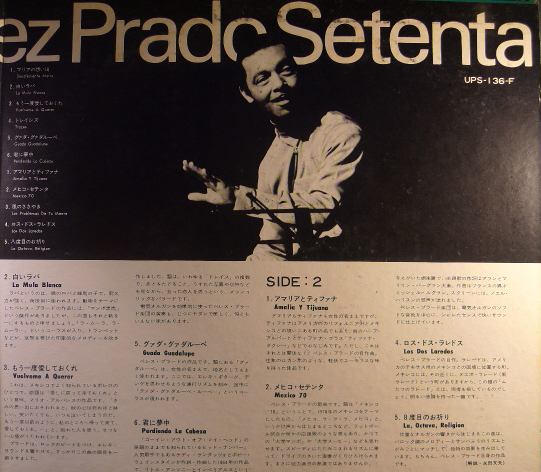 I picked this gatefold up in Tokyo in 2002/2003 and it’s probably one of my favorite Perez Prado records. Every song on the album is pretty much about Mexico. The title track Mexico 70 actually comemerates the World Cup that was held in Mexico that year. 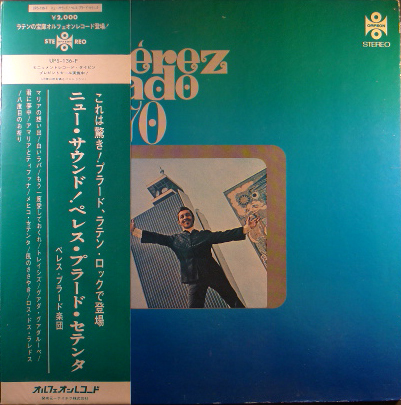 To put this all into context, by the late 60’s and early 70’s Perez Prado became a falling star in the US. However, in Mexico and Japan, he was HUGE. 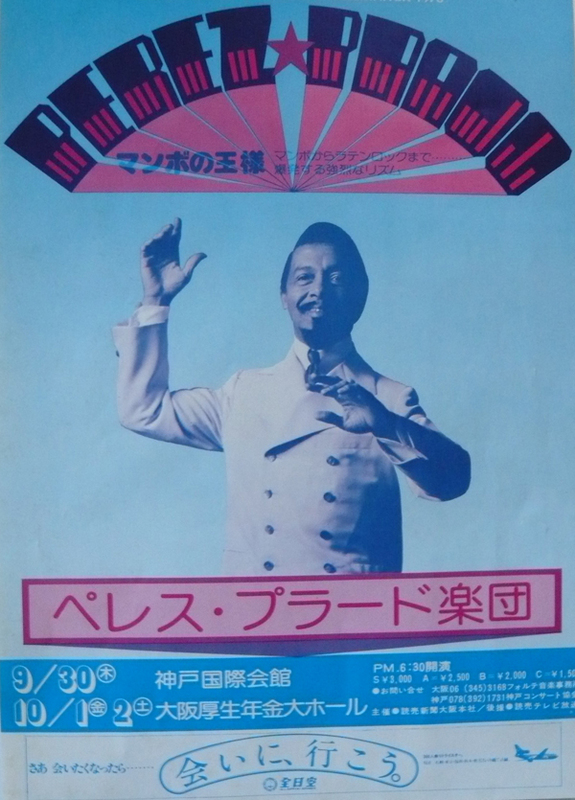 During that time Perez Prado lived in Mexico City (in an apartment off the Calle Reforma), was a regular performer on Mexican television, and toured regularly to Japan. Although the mambo was all but dead, El Rey really puts his stamp on every genre from rock, funk, to the now sound. I left out a great version of Perdiendo Mi Cabeza (Out Of My Head). The songs I selected focus on mostly Mexico. But someone just reissued this on CD. Highly recommended. Thanks to my good friend Julio Cesar Morales for sending me the concert poster image. He actually just had a son he named Prado…. FELIZIDADES JULIO!!!! fantastic blog you have here!! thank you for great tunes.